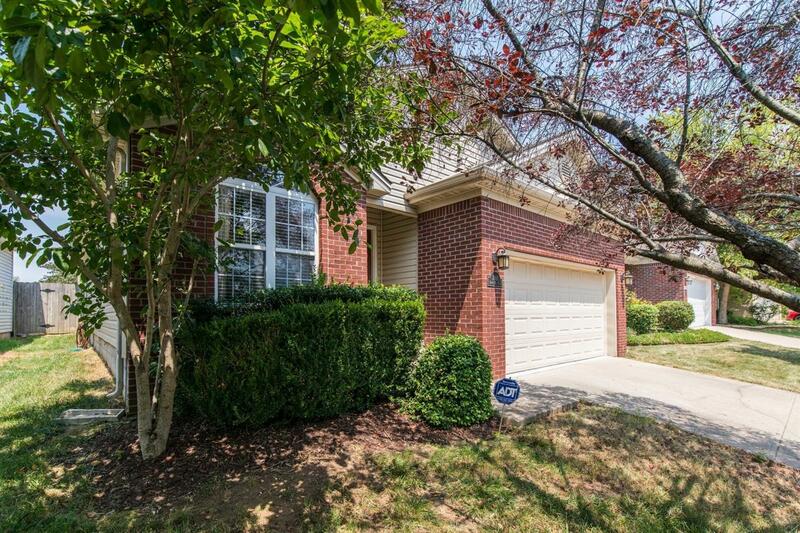 This thoroughly updated home has easy access to I-64/I-75 (Cincinnati, Frankfort & Louisville) yet is just minutes from downtown Lexington and UK. The large fenced & landscaped backyard is the perfect place to laze in your hammock, or to let children or pets play. The following seller's list of updates lets you move right in and start enjoying a great home from day one: 2017: Painted Kitchen Cabinets (White), New Birch-Stained Butcherblock Countertops, Undermount Sink/Faucet and Tile Backsplash; New Stainless Steel Range; New Exterior Garage Lights. 2016: New Guest Bathroom (Vanity, toilet, lighting, and tile); Replaced Back Door. 2015: New carpet in bedrooms, All new deck floor, New Stainless Steel Dishwasher, New Garbage Disposal. 2014: New Hot Water Heater, New Tile in Laundry Room. 2012: New Brazilian Cherry Engineered Hardwood Floors (dining area, living room, and hallways). Other great amenities include tall ceilings, kitchen pantry, spacious and bright layout & walk-in closet.